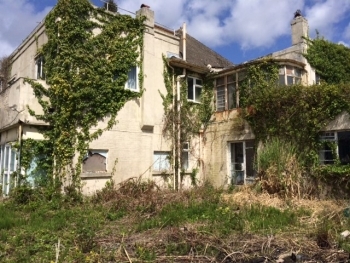 Borough of Poole: Pure Town Planning are delighted to announce that we have recently secured planning permission for the demolition of an existing dilapidated house and the erection of 3 detached family dwellings (circa 2500 sqft) in the desirable area of Lilliput near Sandbanks. 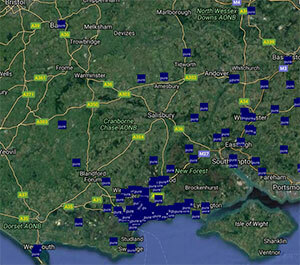 All 3 properties will have views over either Poole Harbour and Brownsea Island or Blue Lagoon. Pure Town Planning were instructed following a previous refusal on site. That refused scheme sought to demolish the existing building and erect 5 townhouses. It was refused on numerous grounds – the design, appearance, sitting, and layout would fail to respond to the existing pattern of development in this locality. The townhouse development would be laid out in an incongruous manner to the prevailing character… having an overly large and dominant built form with a poor relationship to neighbours and with an incongruous frontage dominated by hard standing which would also affect the health and vitality of a protected tree. So it was very clear to us that a fresh approach was required. “The proposed development generally accords with adopted planning policies, as the proposed houses will positively contribute to the appearance of the area, provides 3 new dwellings with higher sustainability achievements than the existing dwelling and provides for mitigation flooding. There will be some overlooking to the neighbouring property however this is limited to the ground floor terrace only, and whilst some harm could occur, this is not unreasonable given the site is within a residential area where some overlooking already occurs”. This scheme was the result of yet another successful collaboration between Pure Town Planning and Anders Roberts Cheer architects who designed the bespoke contemporary dwellings. 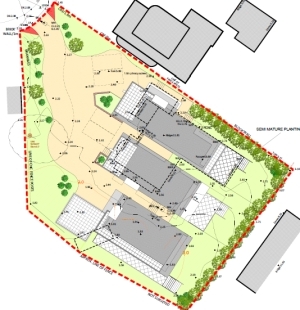 Planning permission was granted last week, much to our client’s delight! If you are planning a housing development and are looking for a firm with a fresh approach and a proven track record of successfully negotiating schemes through to approval then we would be delighted to assist you too. Call us today on 01202 585524 or email us at info@puretownplanning.co.uk to take advantage of our confidential FREE half hour consultation offer. What have you got to lose?